Loyola lost its ranking as one of the 100 best universities, moving down to 103rd, according to U.S. News and World Report’s 2018 list of best colleges. In the 2017 rankings, Loyola placed 99th in the national universities category. Loyola was first included in the top 100 universities at 99th place in 2016 rankings. In the national universities category, schools are evaluated in 15 different academic categories which are weighted by importance from U.S. News, including graduation rate, selectivity and faculty resources. The composite scores of each college or university are then compared to other institutions. Though Loyola’s overall ranking may have dropped, its composite increased from 48 to 49 points this year, showing Loyola has made improvements within the U.S. News criteria. Loyola fell in placement because six other universities scored at 49 and technically tied for 98th place — Auburn University, Illinois Institute of Technology, University of New Hampshire, University of Oregon, University of South Carolina and University of Tennessee. Since the next highest composite score of 50 ranks 97th on the U.S. News list, the publication chose to rank all six schools with a score of 49 as 103rd to remain objective. Consequently, spots 98-102 weren’t assigned to any of the universities ranked in the current edition. 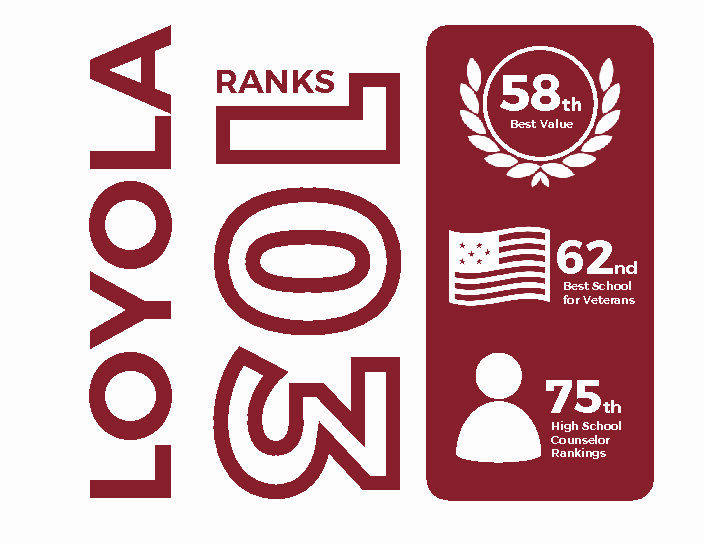 U.S. News also recognized Loyola as 58th in best value rankings — which evaluates academic quality alongside the average student’s net cost of attendance — 62nd in best schools for veterans and 75th in high school counselor rankings, which measures each school’s reputation among high school guidance counselors. Brian Deiekan, a first-year biology major, was surprised that Loyola took a dip in the rankings. “I think it’s a great school, a great education, with great teachers, so I don’t see why we would drop,” the 18-year-old said. However, Loyola’s provost, John P. Pelissero, is unfazed by the new stats and encouraged others to look at the ranking in context. For 27 years, U.S. News has ranked colleges to provide students and families a comprehensive research tool to support their search for the right college. This year’s U.S. News and World Report’s rankings included nearly 1,400 colleges and universities throughout the nation. Looking toward the future, Pelissero said he has plans to improve Loyola’s ranking and the overall quality of its education. Loyola’s retention rate is 85 percent, according to U.S. News. The average retention rate for highly selective four-year private instituions is 95 percent, according to ACT data from 2017. However, Pelissero said that rankings rarely influence university policy. Other students didn’t seem concerned with Loyola’s rankings. For sophomore Jennifer Salgado, a 19-year-old biology major, Loyola represents finding the support and guidance she needs with the help of her peers. “It’s a great community and they help you out with everything. It’s a good support system in terms of student diversity,” Salgado said. In terms of diversity, Loyola is a predominately white institution with a minority population of 40 percent. 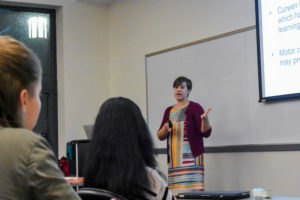 The Department of Student Diversity and Multicultural Affairs (SDMA) offers academic support and multicultural resources to all students regardless of race, sexual orientation or religion. Joseph Saucedo, director of SDMA, believes that supporting students of any background means listening to them. To improve student relations and inclusivity in the future, SDMA has released a diversity climate survey for students and staff to voice what matters to them as members of the Loyola community. Carolina Paniagua, a junior anthropology major, said she thinks Loyola’s focus on students makes it special. “They really do put an emphasis on their students and work towards their benefit. They hire the best faculty they can that are always there for the students,” the 20-year-old said. Paniagua said she believes Loyola can’t be summed up in a ranking, but rather in the people that make up its community. Pelissero also viewed the rankings in a similar way, acknowledging that while it does measure qualities that can be put into facts and figures, it can’t capture the true spirit of Loyola.